Which meter is right for you? Welcome! 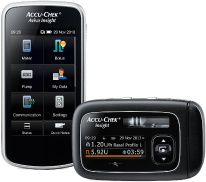 Please click the start button to find out which Accu-Chek blood glucose meter will suit you best. Have you been adjusting your fast acting (bolus) insulin, based on carbohydrate counting? 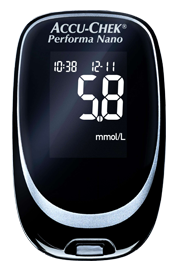 Which device would you like to use to help manage your blood glucose levels? Do you use oral medication to treat your diabetes? The all-in-one system conveniently combines tests, lancets and a finger pricker in to one sleek and easy to carry meter. 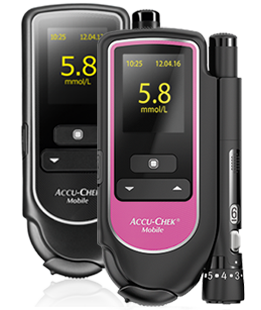 With its compact design and smart simplicity, the Accu-Chek Performa Nano system offers style and performance in a reliable small meter. Large, automatic backlit display. Easy to read in low-light conditions. No coding or set-up required. There is no initial set-up as the meter does not require coding, it is ready to use straight out of the box. Bundled with the Accu-Chek FastClix finger pricker for virtually pain free lancing. 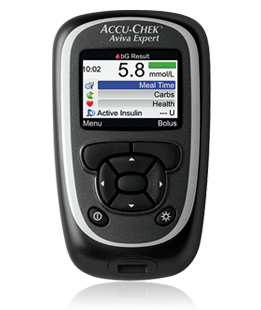 A sleek design with a large, easy-to-read display and easy to handle test strips, the Accu-Chek Aviva meter offers a comfortable, discreet choice for blood glucose testing. Are you on Multiple Daily Injections (MDI) of insulin? Do you use a long acting insulin analogue? The Accu-Chek Insight system makes it simple to accommodate sudden changes to your daily routine, allowing you to live an unrestricted life.